Christus Santa Rosa Health System CEO Patrick Carrier has been named senior vice president of group operations for parent organization Christus Health. He will now oversee the San Antonio and Corpus Christi markets for Christus. Christus Santa Rosa Health System President and CEO Patrick Carrier has been elevated to a new role as part of parent organization Christus Health’srestructuring. Carrier has been named senior vice president of group operations for Christus Health and will now oversee Christus Santa Rosa in San Antonio and Christus Spohn Health System in Corpus Christi. Ken Haynes will succeed Carrier as president and CEO of Christus Santa Rosa Health System in San Antonio. Christus Health, which operates hospitals in several Texas cities and in Louisiana, New Mexico, Chile and Mexico, is reducing the number of its domestic operating units from eight to three. Carrier said the changes will streamline and simplify Christus’ regional operations and expedite the decision-making process across all affected markets. He will divide his time between both markets. San Antonio and Corpus Christi are expected to benefit from the changes Christus Health is implementing. 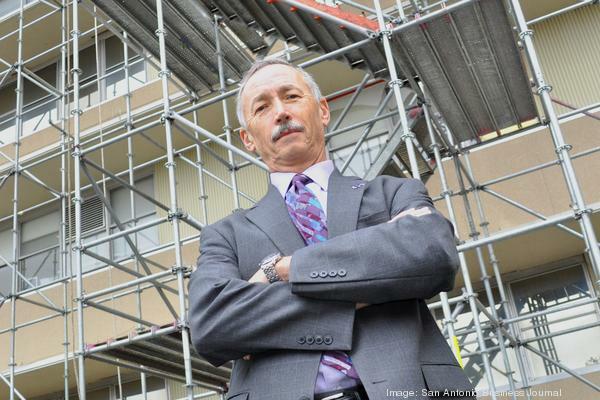 Carrier has played a critical role in the Alamo City, overseeing the roughly $135 million transformation of Christus Santa Rosa’s City Centre campus into the Children’s Hospital of San Antonio. Haynes said Christus is nearing the midway point on that transformation. Haynes has led a number of strategic initiatives during his tenure with Christus Santa Rosa, where he previously served as vice president and chief operating officer. Pamela Robertson will retain her role as CEO of Christus Spohn. Scott Bailey covers health care, tourism, sports business, economic development; he also plans and edits some special reports. This entry was posted on Wednesday, February 11th, 2015 at 1:23 pm and is filed under Uncategorized. You can follow any responses to this entry through the RSS 2.0 feed. Both comments and pings are currently closed.